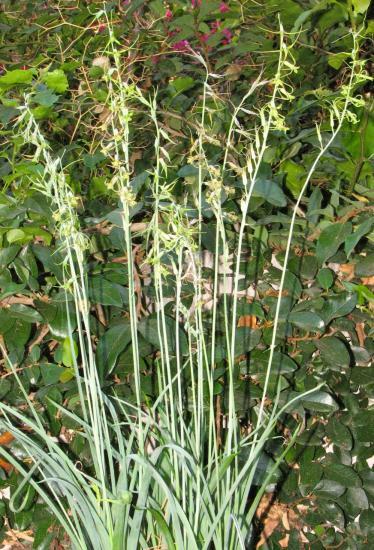 Dipcadi is a bulbous genus in the Hyacinthaceae family found in Africa, the Mediterranean, and India. 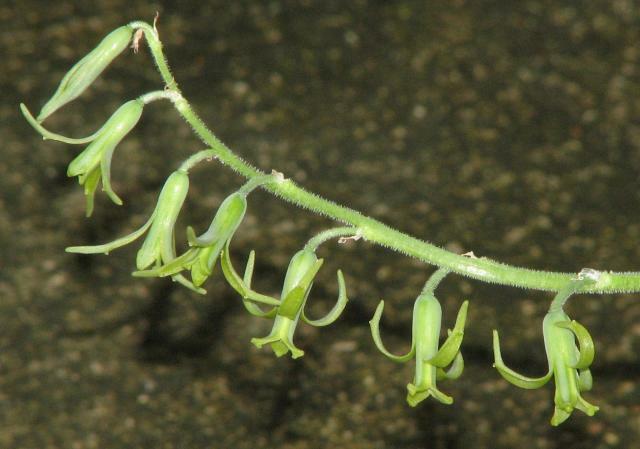 Flowers are bell-shaped or tubular. J. Manning, P. Goldblatt & M.F. 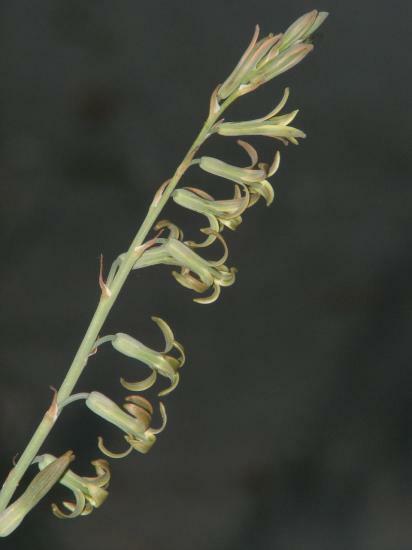 Fay in a "A revised generic synopsis of Hyacinthaceae in sub-Saharan Africa, including new combinations and the new tribe Pseudoprospereae", Edinburgh Journal of Botany 60(3): 533-568 (2004) proposed sinking this genus along with Albuca, Galtonia, Neopatersonia, and Pseudogaltonia into Ornithogalum. 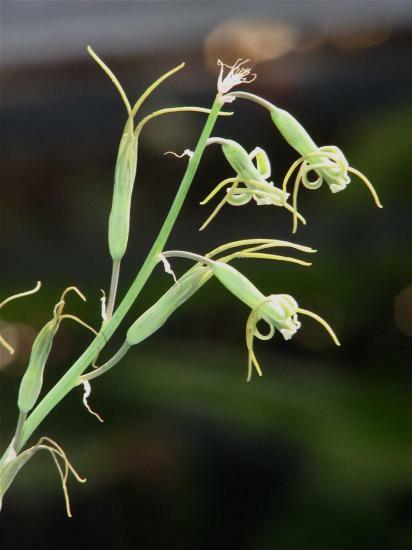 Further work by researchers at SANBI, the Missouri Botanical Garden and Kew has not supported all of these changes and Albuca, Dipcadi, and Pseudogaltonia have been reinstated. 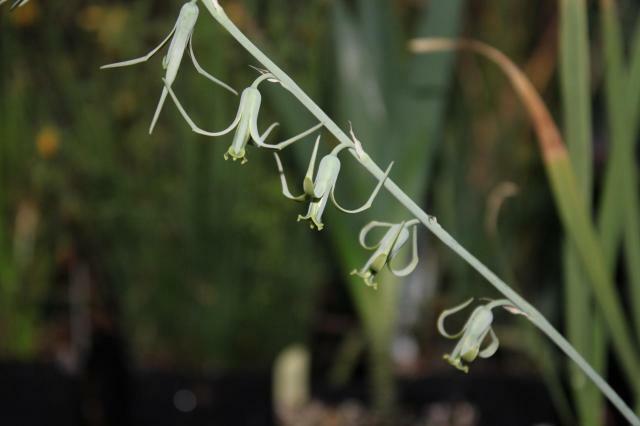 Dipcadi ciliare is native to the summer rainfall region of South Africa. 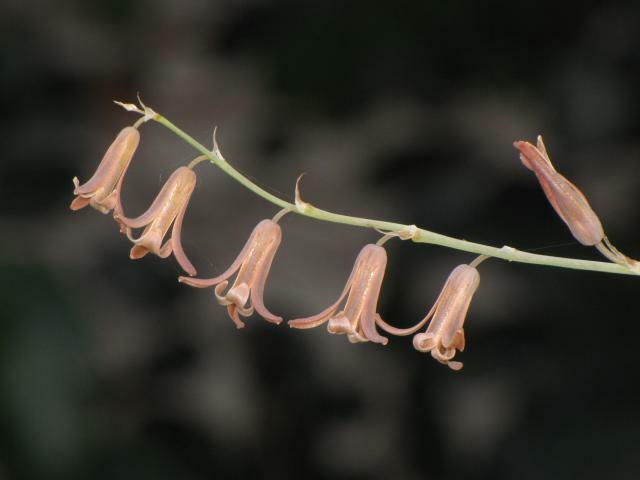 The photos below were taken by Dylan Hannon of a form from Grahamstown, South Africa. 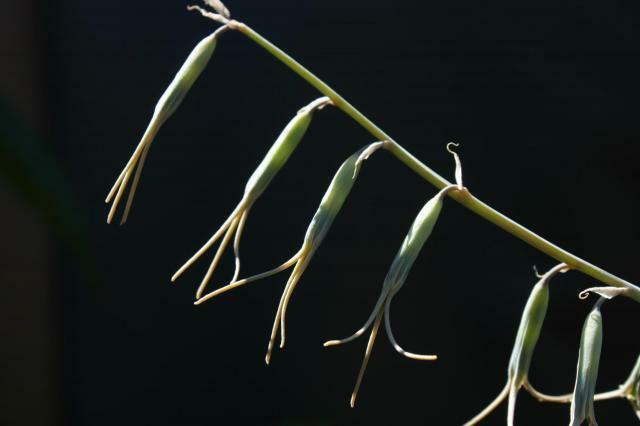 Dipcadi longifolius is native to tropical and Southern Africa. 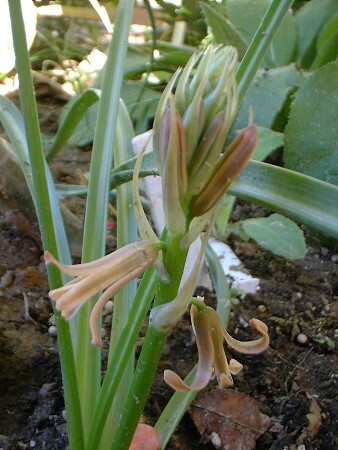 Growth begins at the start of the rains with the flower stalk emerging along with the leaves. Plants occur in woodlands and wooded grasslands. 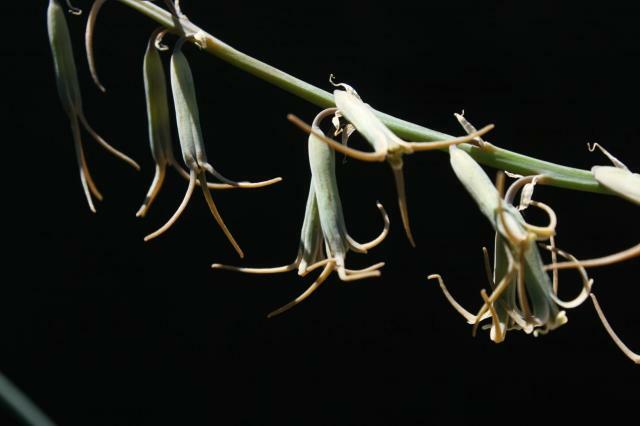 Photos by Nicholas Wightman of plants naturally occurring in Lilayi, Zambia. 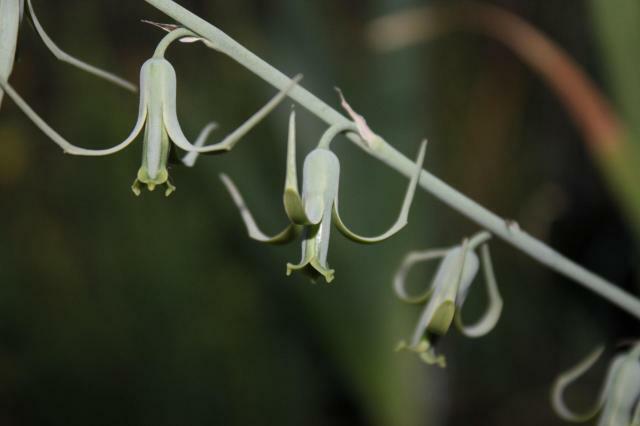 Dipcadi rigidiflorum is native from Zimbabwe to the the Northern Cape Province. It is a summer grower. 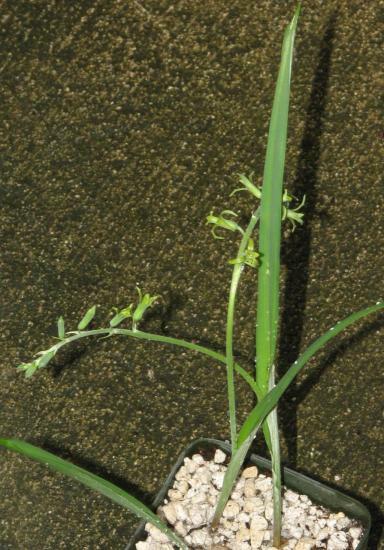 These plants appear to be self-fertile. The photos below were taken by Nhu Nguyen. 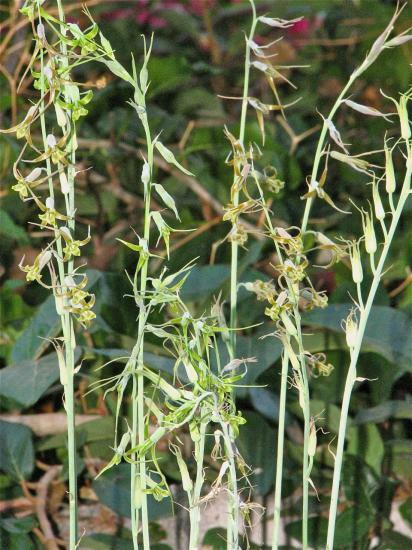 Dipcadi serotinum has a very small flower that appears at odd times in summer. The colors are all very "subtle," dull green and peach-tan. 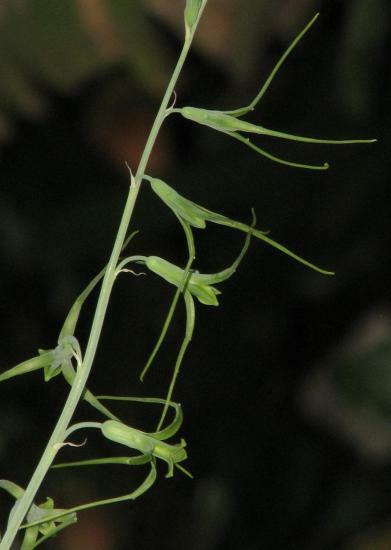 The seed is very easy to collect and sets in abundance. It is from southwest Europe and North Africa. 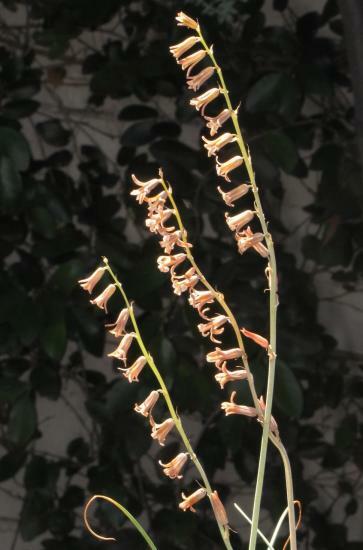 Photo 1 was taken by Sheri Ann Richerson and photos 2-3 were taken by Dylan Hannon of a form from Quinta do Lago, Portugal. 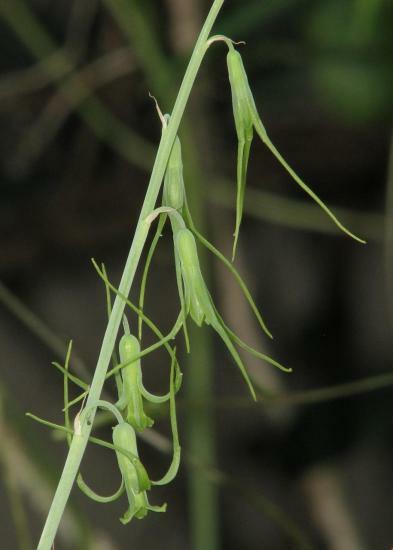 Dipcadi serotinum var. 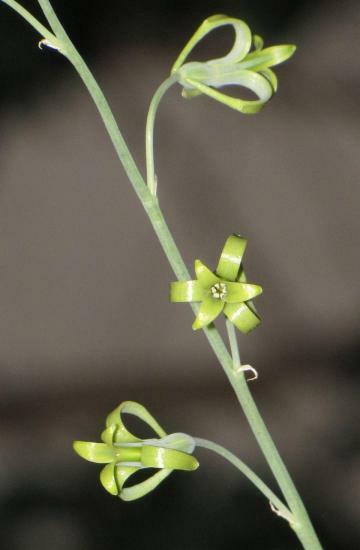 fulvum is a form growing in mainland Spain and the Canary Islands, it is a late bloomer that can be found in flower until July, growing in dry habitats. 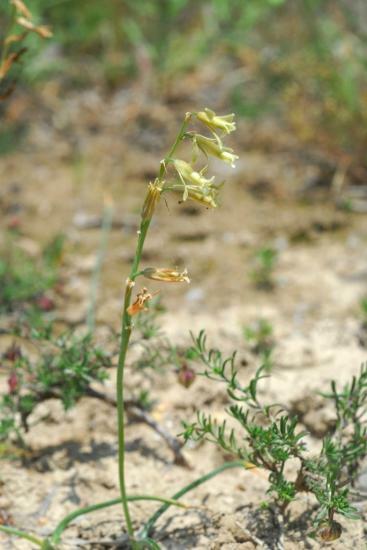 It differs from the type by its yellow/creamy flowers. Photos taken in its habitat in the Spanish Pyrenees by Oron Peri. 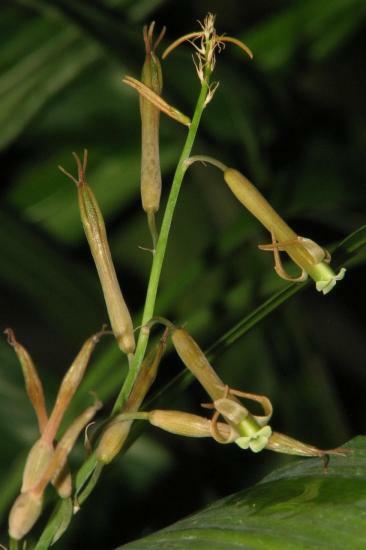 Dipcadi sp. Fianarantsoa, Madagascar -- the photos below were taken by Dylan Hannon. 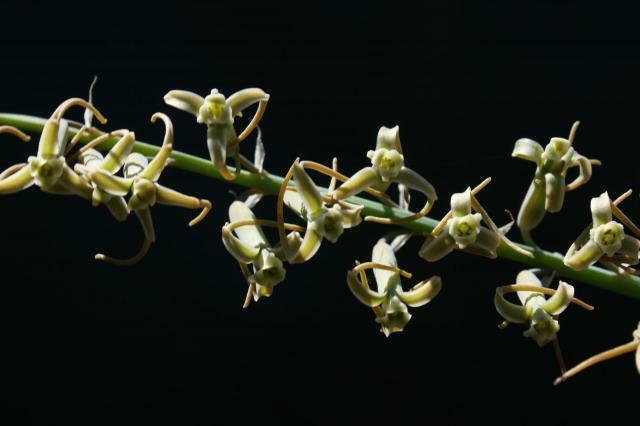 The photos below were taken by Nhu Nguyen of the same form. 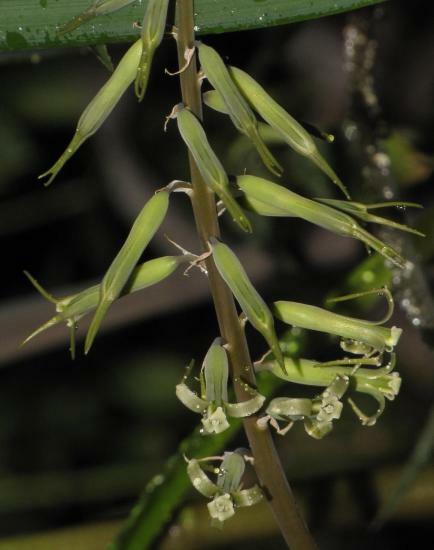 Dipcadi sp. ex Robertson, South Africa -- the photo was taken by Dylan Hannon of a form near Robertson, South Africa. 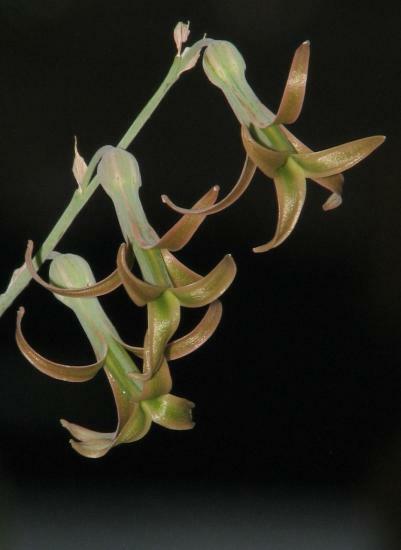 Dipcadi sp. ex Isalo, Madagascar -- the photo was taken by Dylan Hannon. 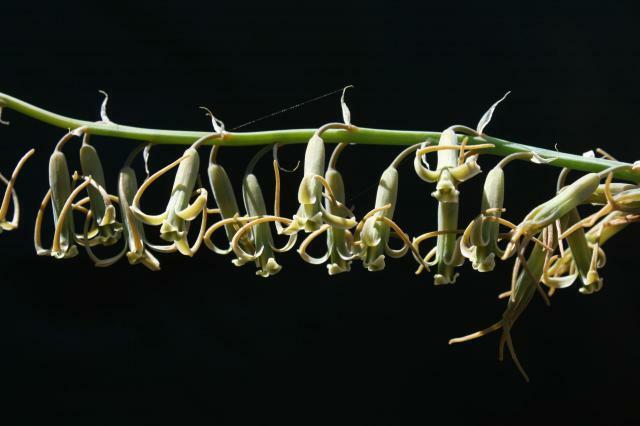 Dipcadi viride is an extremely widespread species from the Arabian Peninsula to tropical Africa and south to Africa. 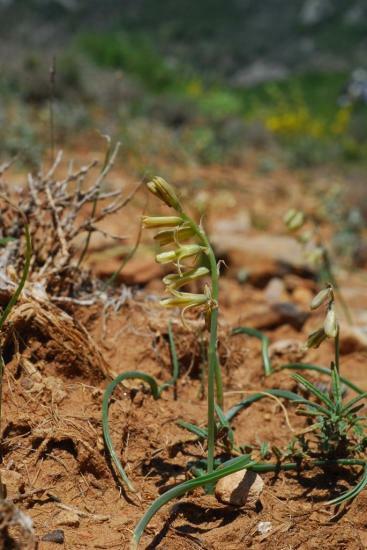 The photos below were taken by Dylan Hannon of plants from Yemen. Photo 1 shows a form from Hadramaut (Lavranos et al. 31292), and photos 2-3 show a form from Wadi Salul (Lavranos & Gifri 30740). The photos below were taken by Dylan Hannon of a form from west of Alldays, South Africa. 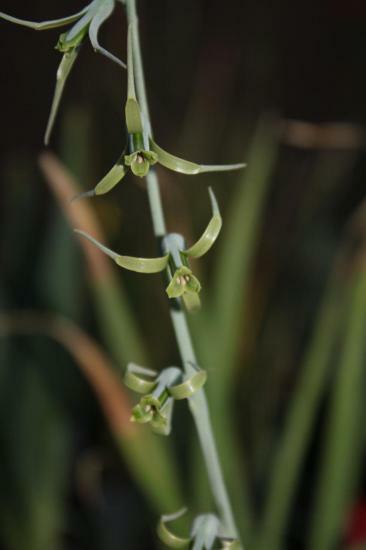 Its a small, delicate form with ciliate leaf undersides and ciliate flowering stems. The photos below were taken by Dylan Hannon. 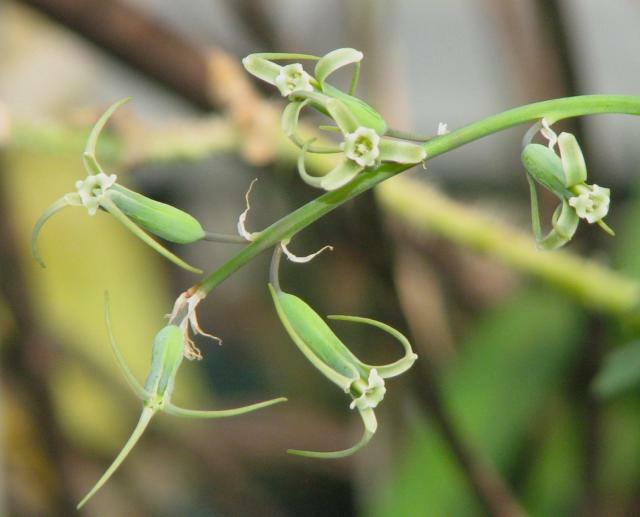 The plants came from one batch of seeds, originally from Grahamstown, South Africa. 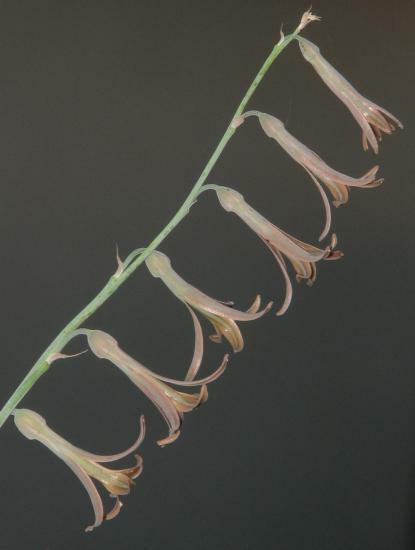 Note variation in color and tepal appendages. 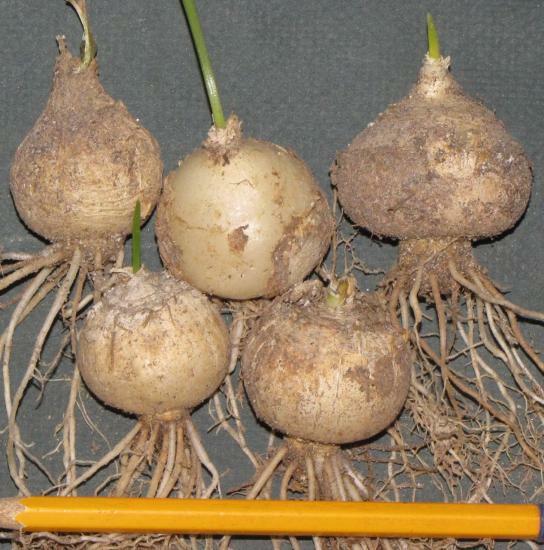 The bulbs rather large for a Dipcadi. 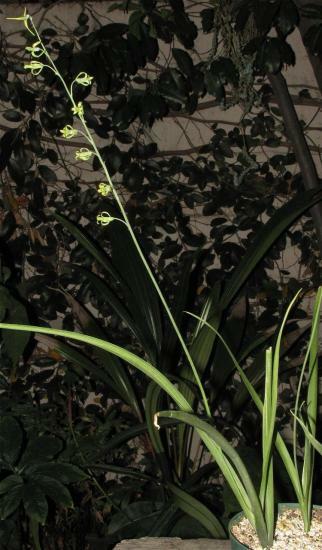 This plant is semi-evergreen in a mild climate but mainly summer growing.